← Wine: Is it ok to refrigerate reds? Participants: Hugo Benito, Alfonso Caycedo, Ruth Connolly, Clara Estrada, Jaime Estupiñan, Jorge Garcia-Garcia, Emilio Labrada, Alvaro Lopez, Orlando Mason, Alfonso Sanchez, Jairo Sanchez, Pedro Turina, Ginger Smart, Carlos E. Velez, Ricardo Zavaleta, German Zincke. The wines presented all Italian blends. The wines selected for ” Degustación No. 159″ come from three of Italy’s 14 designated wine regions, namely Tuscany, Tre Venezie and Umbria. The second of these regions has three sub-regions — The Veneto, Trentino-Alto Adige, and Friuli-Venezia Giulia. All three are located in Northern Italy and all produce blends. The information presented was taken from a web site called The Wine Searcher ( www.wine-searcher.com ) that also has information on many other regions. 3. Lamb in Rosemary Sauce with Mashed Potatoes and Buttered Carrot Coins. The product of a careful “terroir” study and one of its vineyard’s most innovative products, this fresh strong-bodied dry white wine comes from the dry-farmed hillside Chianciano vineyard of Central Truscany. Pleasantly fruity and elegantly aromatic. Its multiple grape composition (chardonnay 40%, grechet’to 30%, sauvignon blanc 30%) enables this prize-winning wine to shine as an appetizer. 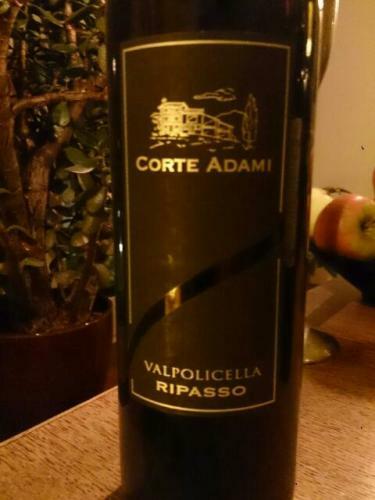 Corte Adami Valpolicella Ripasso Superiore. 2009. Plucked from the Mezzomonte estate’s 40 year-old vines in the village of Ferrazze, Municipality of San Martino Buon Albergo, this wine’s blend of Corvina, Corvinone and Rondinella grapes combines youth and old age. The freshness of Valpolicella combines with the austere sagacity of the lees of Amarone to create a wine in which fruitiness and spiciness encounter exceptional mellowness and tannicity in an extremely elegant whole with great ageing potential. Made from selected grapes with six months of oak barrel time, this ruby red dry and slightly acidic wine pairs harmoniously with meat and cheese-backed dishes. Composed of sagrantino (80%) and merlot grapes (20%) , the wine was bottled by ICRF PG 2895 in Soligno, Italy. Red wines in the styles Normale, Frizzante, Passito and Novello are produced throughout the region of Umbria. El primer vino, Blanco fue calificado como Muy Bueno con Average de 89 puntos; el primer tinto, como Excelente con una Media de 91 puntos y el segundo (tinto) ultimo vino, como Muy Bueno con una calificacion media de 88 puntos. En resumen todos fueron muy bien calificados. 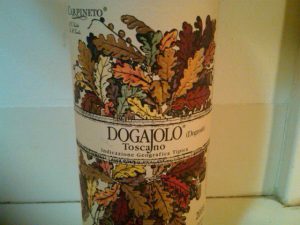 2013 Carpineto Dogajolo Bianco Rossi. Impresion General: Es uno de los productos mas innovativos elaborado despues de un cuidadoso estudio, resulta un producto de mucha frescura y fuerte cuerpo. Es un vino blanco seco de un placer a frutas y con mucha elegancia. Elaborado con tres diferentes tipos de uvas y bien balanceado. 2009 Corte Adami, The Veneto(a part of of the tres Vinizies) Pinot Noir, Rojo. Impresion General: Excelente vino que arranca del Estado de Mezzomonte, desde hace 40 anos. Es un blend preparado con Corvina, Corvinone y Rondinella, con una combinacion de uvas viejas y jovenes. Un aroma agradable a frutas y especies, una combinacion muy sagaz que resulta en una extrema elegancia y un gran potencial de sabores. Impresion General: Rosso Dell’Alunno es un vino muy acceptable, elaborado con uvas selectas con seis meses en barriles de oak, con un color rojo rubi, seco y con una ligera acidez. Preparado con dos tipos de uvas (Sagrantina y Maerlot) y bueno para degustarlo con carnes y quesos. Although vines had been cultivated from the wild Vitis vinifera grape for millennia, it wasn’t until the Greek colonization that wine-making flourished. 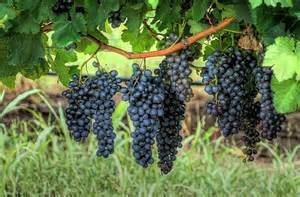 Viticulture was introduced into Sicily and southern Italy by the Mycenaean Greeks,[nband was well established when the extensive Greek colonization transpired around 800 BC. It was during the Roman defeat of the Carthaginians (acknowledged masters of wine-making) in the 2nd century BC that Italian wine production began to further flourish. 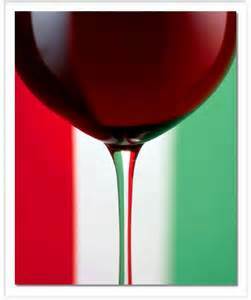 Depending on the vintage, modern Italy is the world’s largest or second largest wine producer. In 2005, production was about 20% of the global total, second only to France, which produced 26. Along with Australia, Italy’s market share has rapidly increased in recent years. Vini DOP (Wines with Protected Designation of Origin): This category includes two sub-categories, i.e. Vini DOC (Controlled Designation of Origin) and Vini DOCG (Controlled and Guaranteed Designation of Origin). DOC wines must have been IGP wines for at least 5 years. They generally come from smaller regions, within a certain IGP territory, that are particularly vocated for their climatic and geological characteristics and for the quality and originality of the local winemaking traditions. They also must follow stricter production regulations than IGP wines. A DOC wine can be promoted to DOCG if it has been a DOC for at least 10 years. In addition to fulfilling the requisites for DOC wines (since that’s the category they come from), before commercialization DOCG wines must pass stricter analyses, including a tasting by a specifically appointed committee. DOCG wines have also demonstrated a superior commercial success. Currently (2014) there exist 332 DOCs and 73 DOCGs for a total of 405 DOPs. It is important to remark that looser regulations do not necessarily correspond to lower quality. In fact, many IGP wines are actually top level products, mainly due to the special skills of their producers (e.g. so called “Super Tuscan” wines are generally IGP wines, but there are also several other IGP wines of superior quality). 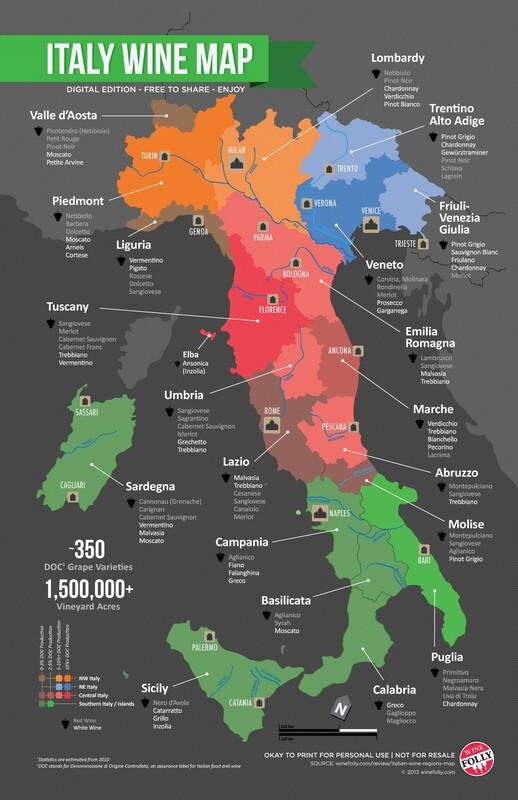 Italy’s twenty wine regions correspond to the twenty administrative regions. Understanding of Italian wine becomes clearer with an understanding of the differences between each region; their cuisines reflect their indigenous wines, and vice-versa. The 73 DOCG wines are located in 15 different regions but most of them are concentrated in Piedmont, Veneto and Tuscany. Among these are appellations appreciated and sought after by wine lovers around the world: Barolo, Barbaresco, and Brunello di Montalcino (colloquially known as the “Killer B’s”). Corvina Rondinella and Molinara: This Red Varietals are used to make the famous blended wines of the Veneto, Valpolicella and Amarone. Valpolicella wine has dark cherry fruit and spice. After the grapes undergo passito (a drying process), the wine is now called Amarone, and is extremely high in alcohol (16% and up) and full of raisin, prune, and syrupy fruits. Some Amarones can age for 40+ years and command spectacular prices. In December 2009, there was celebration when the acclaimed Amarone di Valpolicella was finally awarded its long-sought DOCG status. The same method used for Amarone is used for Recioto, the oldest wine produced in this area, but the difference is that Recioto is a sweet wine. This red wine with a Denominazione di Origine Controllata e Garantita status produced in the vineyards surrounding the town of Montepulciano, Italy is made primarily from the Sangiovese grape varietal (known locally as Prugnolo gentile) (minimum 70%), blended with Canaiolo Nero (10%–20%) and small amounts of other local varieties such as Mammolo. The wine is aged in oak barrels for 2 years; three years if it is a riserva. The wine should not be confused with Montepulciano d’Abruzzo, a red wine made from the Montepulciano grape in the Abruzzo region of east-central Italy. Sangiovese and Bordeaux mix. Sangiovese grape, Italy’s claim to fame and the pride of Tuscany, traditionally make wines full of cherry fruit, earth, and cedar. It produces Chianti (Classico), Rosso di Montalcino, Brunello di Montalcino, Rosso di Montepulciano, Montefalco Rosso, and many others. Sangiovese is also the backbone in many of the acclaimed, modern-styled “Super-Tuscans“, where it is blended with Bordeaux varietals (Cabernet Sauvignon, Merlot, and Cabernet Franc) and typically aged in French oak barrels, resulting in a wine primed for the international market in the style of a typical California cabernet: oaky, high-alcohol, and a ripe, jammy, fruit-forward profile. The term “Super Tuscan” describes any wine (mostly red, but sometimes also white) produced in Tuscany and that generally does not adhere to the traditional local DOC(G) regulations. As a result, Super Tuscans are usually Toscana IGP wines, while others are Bolgheri DOC, a designation of origin rather open to international grape varieties. Instead, traditional Tuscan DOC(G)s require that wines are made from native grapes and mostly Sangiovese. While sometimes Super Tuscans are actually produced by Sangiovese alone, they are also often obtained by (1) blending Sangiovese with international varietals (such as Cabernet Sauvignon, Merlot, Cabernet Franc, Syrah), (2) blending international varietals alone (especially classic Bordeaux grapes for reds; Chardonnay and Sauvignon blanc for whites), or (3) using one single international variety. In a sense, red Super Tuscans anticipated the Meritage, a well-known international category of USA origin. Because these wines did not conform to strict DOC(G) classifications, they were initially labeled as vino da tavola, meaning “table wine,” an old official category ordinarily reserved for lower quality wines. The creation of the Indicazione Geografica Tipica category (technically indicating a level of quality between vino da tavola and DOC(G)) in 1992 and the DOC Bolgheri label in 1994 helped bring Super Tuscans “back into the fold” from a regulatory standpoint. Since the pioneering work of the Super Tuscans, there has been a rapid expansion in production of high-quality wines throughout Italy that do not qualify for DOC or DOCG classification, as a result of the efforts of a new generation of Italian wine producers and, in some cases, flying winemakers. Sagrantino, a varietal native to Umbria, is only planted on 250 hectares, but the wines produced from it either blended or as a pure Sagrantino, are world-renowned. Inky purple, with rustic brooding fruit and heavy tannins, these wines can age for many years. Tuscany Wine – Tuscany, evaluated on the merits of its wines alone, Tuscany stands tall, its reputation founded on such iconic wines as Chianti, Brunello di Montalcino and Vino Nobile di Montepulciano. Today, Tuscany is at the forefront of oenological excellence, and offers the world an array of internationally acclaimed wines such as the archetypal Chianti, as well as the renowned Brunello di Montalcino and Vino Nobile di Montepulciano. Alongside Piedmont and Veneto, this region houses a strong complement of DOCGs and more than 30 DOCs, including the likes of Rosso di Montalcino, Bolgheri and Pomino. Key to the area’s prestige is its distinctive terroir. Several factors contribute to an ideal environment for the cultivation of grapes: coastal and mountain climates, a a mixture of well-drained and dry soils, predominantly rich in sand and clay, moderately hilly terrain extending towards the Apennine Mountains and excellent topography. The warm temperatures coming off the coast, combined with the cool breezes from the hills, create a multitude of microclimates. The vineyards planted on hillsides at altitudes of 500–1600ft (150–500m) enjoy increased diurnal temperature variation, thus helping maintain the grape’s balance of sugars, acidity and aromatic qualities. One such variety that particularly thrives on these hillside vineyards, performing best in direct sunlight, is Tuscany’s signature red grape Sangiovese. Considered one of Italy’s ‘greats’, Sangiovese is the mainstay in all but one of Tuscany’s seven red-wine DOCGs. In Montalcino it goes by the name Brunello, whence Brunello di Montalcino, and when used to make Vino Nobile in Montepulciano it is called Prugnolo Gentile. Sangiovese also features in Chianti, in which it is joined by small amounts of Canaiolo and Colorino, as well as increasing quantities of Cabernet Sauvignon and Merlot. Under the name Morellino, it also provides the basis for Morellino di Scansano. With the rise of the ‘Super Tuscans‘, Cabernet Sauvignon has become a much more prominent variety in Tuscany. Despite the international varieties finding their way into Tuscan wines, native varieties still reign. Another Tuscan treasure is the notable sweet red wine Elba Aleatico Passito, which features the Aleatico grape. Tre Venezie –The Veneto. Corte Adami Valpolicalla Ripasso Superiore. 2009. 14%. IGT delle Venezie, one of Italy’s best-known wine appellations, has been made famous by the ocean of crisp, light Pinot Grigio delle Venezie that makes its way westwards to the United Kingdom and the United States from north-eastern Italy each year. Roughly seven bottles in every 10 of delle Venezie wine are varietal Pinot Grigio. Pinot Grigio is more than just the Italian name for Pinot Gris – it has become a wine style in its own right, wholly Italian. And here in the Venezie, it continues to confidently hold back the invasion of French varieties Pinot Noir, Merlot, Cabernet Sauvignon and Chardonnay, each of which is restricted to between 3% and 10% of all IGT delle Venezie wine. From this narrow perspective, it might seem that Pinot Grigio has also pushed Garganega (which accounts for just 2%) into the shadows, but Garganega remains the key variety behind the prolific Soave and Gambellara DOCs, and is more a grape of the traditional DOC and DOCG world than of the modern, forward-looking IGT category. Despite the obvious dominance of Pinot Grigio here, and the smaller (but increasing) presence of internationally popular varieties of French origin, the list of grape varieties sanctioned for use in delle Venezie wines is long. It includes Durella, Muller-Thurgau, various kinds of Malvasia, Sauvignon Blanc, Riesling, Verduzzo and Incrocio Manzoni (the crossing of Riesling and Pinot Bianco created by Italian enologist Professor Luigi Manzoni). As might be inferred from the list above (all of which are light-skinned varieties), this is an appellation which specializes in white wines – a product of tradition as much as of north-eastern Italy’s long, cool growing season. Cabernet Sauvignon, Marzemino and Refosco are all included on the list of permitted varieties, but it is not surprising that they are far less commonly used than their white-wine counterparts. (Wine-Searcher). Umbria IGT is the region-wide Indicazione Geografica Tipica (IGT) title for Umbria, central Italy. It covers every part of the region, from the tiny village of San Giustino in the north to Santa Maria delle Neve in the south. Umbria’s annual wine production of one million hectoliters (26 million gallons) makes it Italy’s fourth-smallest wine-producing region by volume. By mid-2012, just one fifth of the region’s wine was sold under its 15 DOC titles. Compare this to Piedmont, which had 15 DOCGs at that time, and more than 45 DOCs, which together covered almost half of its wine. The majority of Umbrian was traditionally sold as Vino di Tavola (which commands neither respect nor high prices) so the arrival in the mid-1990s of the IGT category, with its modern, flexible approach to wine styles, was warmly welcomed here. IGT is widely viewed as a practical compromise – a ‘middle ground’ between the stringent DOC/G production conditions, which are balanced out by higher market prices, and the almost non-existent conditions of Vino di Tavola, for which the penalty is low market prices. IGT wines from Umbria embrace the traditional as well as the modern, both in terms of grape varieties and winemaking techniques; traditional Italian varieties such as Sangiovese and Montepulciano are found in the wines alongside the internationally successful French varieties Cabernet Sauvignon, Merlot and Pinot Noir. This is visible not only in the appellation‘s single-variety wines, but also in its more popular blends. The quality of the wines is rising, due largely to the engagement of consulting oenologists from other regions and even other countries. This investment has led to improvements particularly in the local Sangiovese. White Umbria IGT wines tend to be made up of the ubiquitous Chardonnay and lesser-known Grechetto (the variety behind Umbria’s most famous wine, Orvieto). This entry was posted in Meeting Abstract and tagged Italia, Italian Blends. Bookmark the permalink.